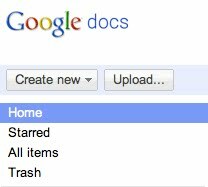 Over the past year, many of you have been taking advantage of the ability to upload any file to Google Docs. With more files and of a variety of file types in one place, it becomes more difficult to organize and find what you need quickly. As a result, we are happy to announce that, over the next couple of days, we’ll be rolling out a refresh to the documents list, aimed to make it more useful to find, explore and share all your files stored 100% on the web. First, we added a number of filters in this refresh, making it easier to narrow your search by type, visibility state, and other criteria. We also added priority sorting as a option in all views. Priority sorting is like Gmail’s Priority Inbox, in that we look at a number of signals to put your most relevant files at the top of the list. And you can still use other sort orders like Last Modified Date or by Name. This update will also improve the experience of exploring and browsing your files. We added a preview panel on the right side of the document list, so that you can see a preview thumbnail, sharing settings and more at a glance. And if the file is a video, you can start playing it directly from the preview panel or from the recently announced video player. 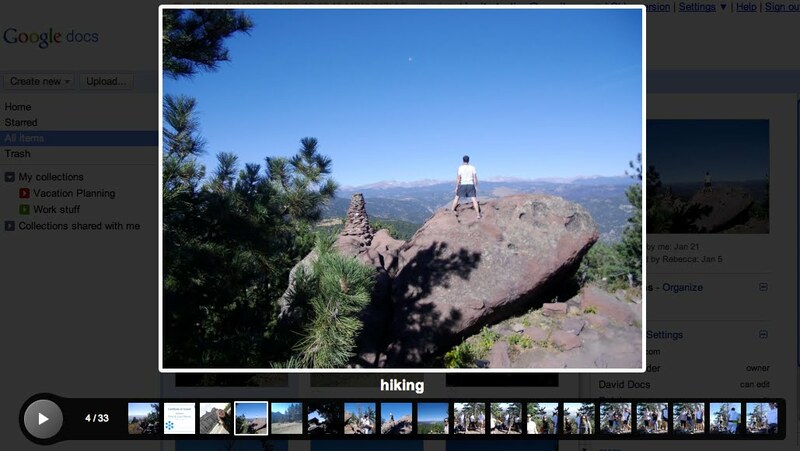 To make it easier to view photos, you can now click on the magnifying glass on a photo to open a full screen slide-show viewer. There is also a new view called Home. The contents of the Home view are controlled by you so that the content you access the most often is easier to get to. You can remove files from the Home view by right clicking the file and selecting Don’t show in home to hide them. And when you need them, these files can always be found later by selecting All items or using search. You may also notice Collections have replaced Folders in the left navigation bar. Collections are designed to combine the best features of labels and folders. A file can live in multiple collections, just like with Gmail labels. Collections can also be stored hierarchically, just like folders on your desktop. 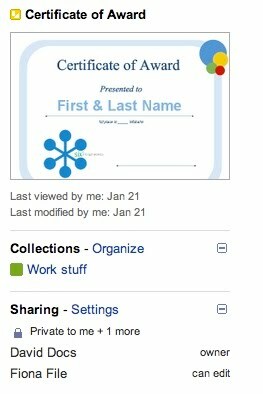 And of course, collections can be shared, just like you can share docs. Along with the improved find-ability and browsing experience, we streamlined the interface. For example, instead of using checkboxes to select multiple files, you can just use your Shift or Control(Cmd on Macs) keys. That’s not all. We’ve also been working hard on increasing the speed of the documents list by overhauling our back-ends to make things snappier. This refresh is rolling out now and should be available to everyone over the next couple days. For Google Apps for Business customers that don’t have “Enable pre-release features” box checked, this refresh will be coming in a few weeks. Once the refresh is rolled out to your account, take the in-product tour and let us know what you think.